Not the most scintillating post name, I know, but you get what it says on the tin. 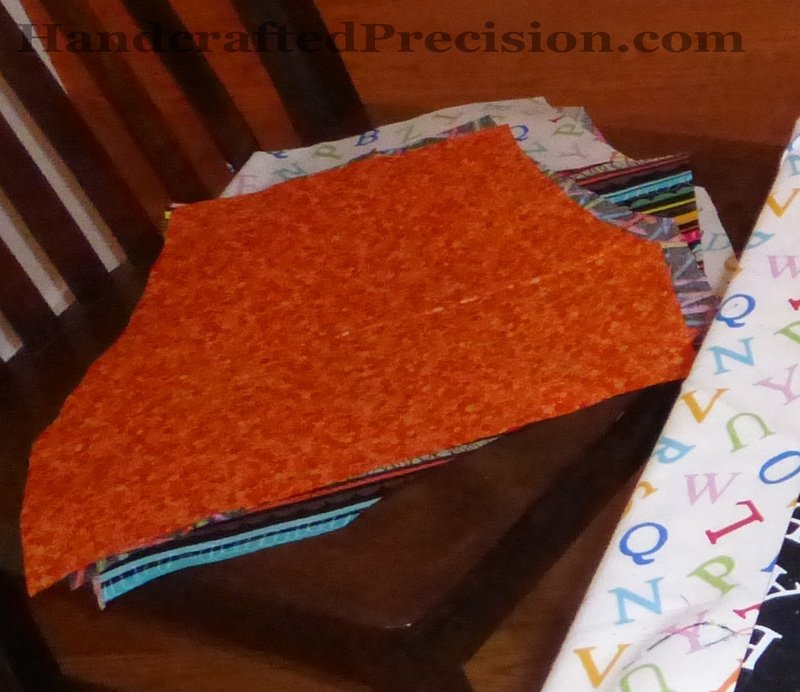 I finally got over my mental blocks and started cutting out all of the fabric I bought for toddler aprons. It’s really too much and I’m going to have too many aprons at the end. I figure I’ll send some to the kids’ old school and maybe keep a couple for the house, though I might need to modify one for my almost-four-year-old. They’ll go over his head, but they won’t protect his trousers well. 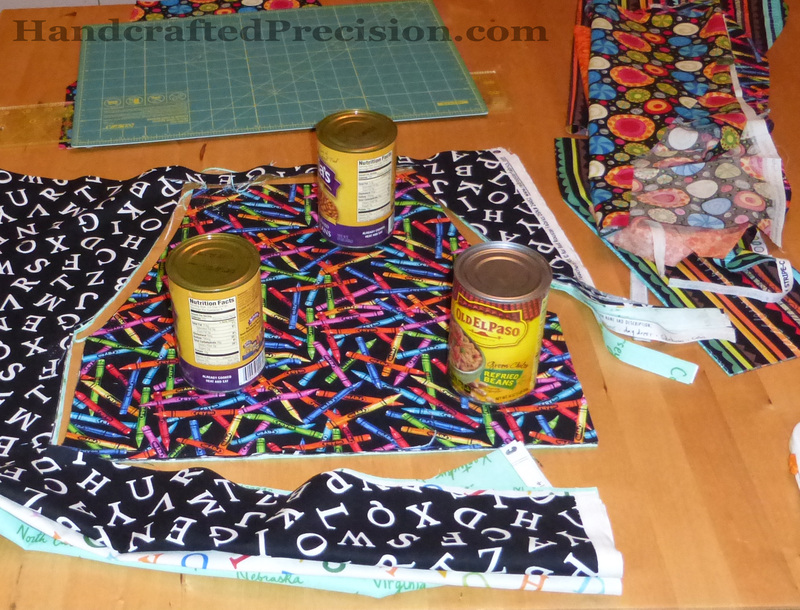 Yes, I’m using cans of beans as pattern weights. What of it? I love all of these fabrics, except the one with the circles, but even it’s growing on me. And I’ll have scraps of them all! 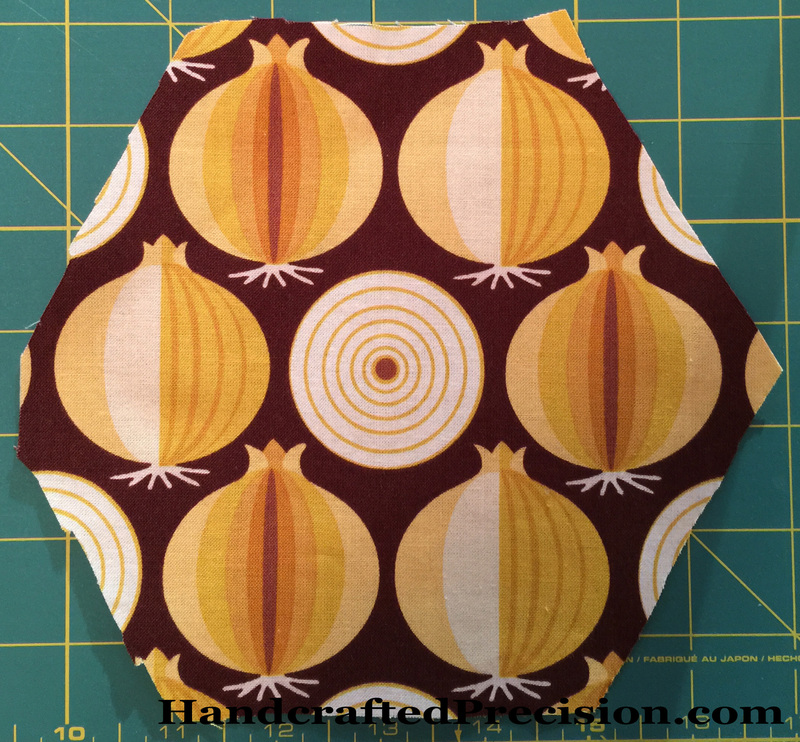 I probably shouldn’t get so excited about scraps, but it’s nice to come by some scraps in the usual way– that is, work on a project and have some fabric left over. Revolutionary. The crayon fabric is especially for my toddler who LOVES a shirt he has of a different crayon fabric, which I don’t think they make anymore. One of those aprons is definitely going to his classroom. 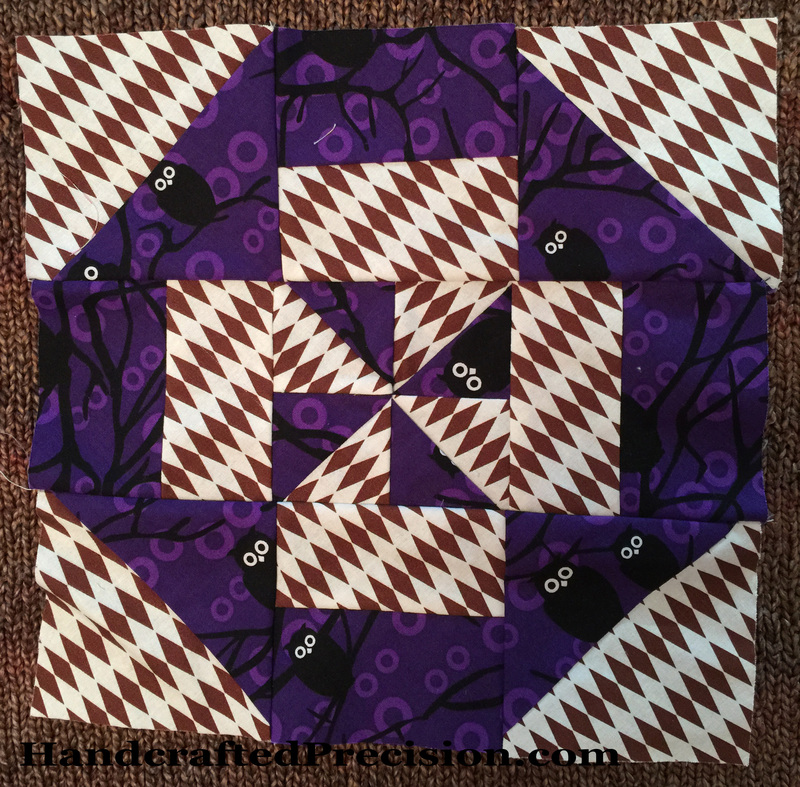 This entry was posted in Machine Sewing and tagged Apron on August 27, 2014 by HP. I’ve been thinking about quilting all week, but I made myself shorten the strap of the toddler apron I made, as well as the existing ones in the classroom. 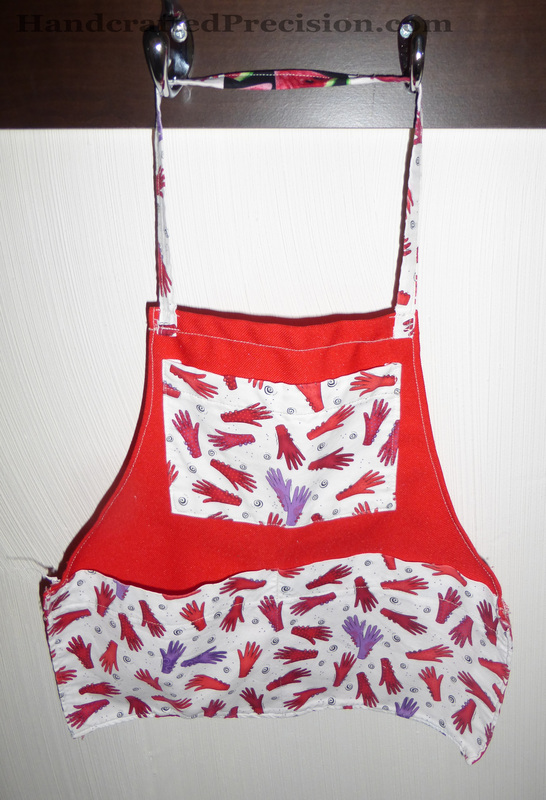 The teacher said they were all too long and I wanted her to have useful aprons while I worked on the new ones. I couldn’t bring myself to do all of the cutting and ironing-on of interfacing. Bleh, ironing, especially with a damp pressing cloth. The strap fixes turned out okay except for the one where I cut the diagonal wrong. (See? 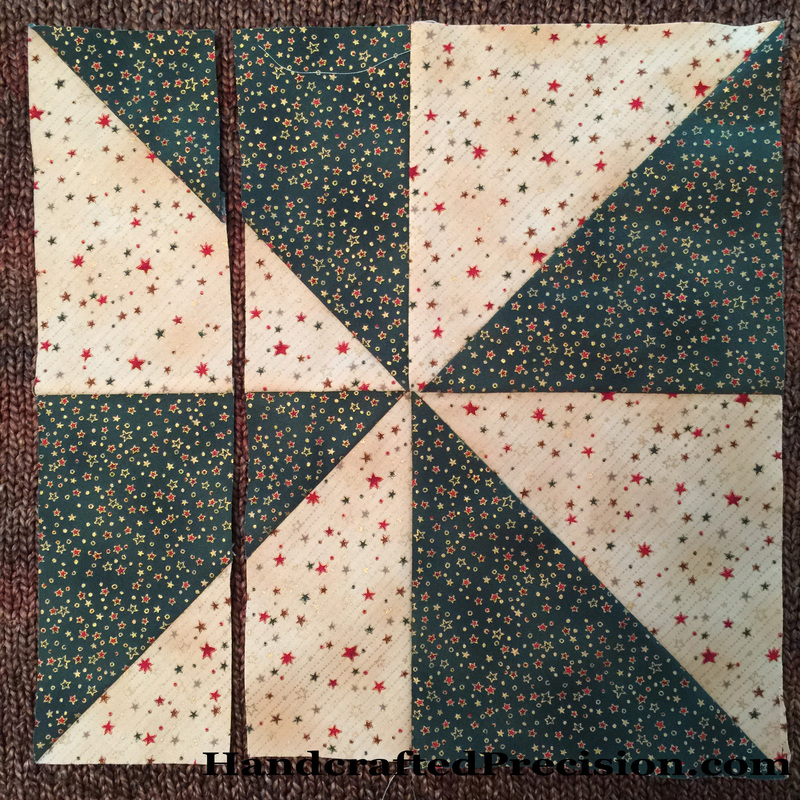 I’ll need that skill for binding my future quilts.) But I patched it with a different print and it’s not too bad. I felt bad about it since the one I messed up was one of the ones from the classroom, not the one I made. But I fixed it and it’s a Montessori classroom, so they’re all about making mistakes and learning and fixing. Maybe it’s even a little fun? I went for a contrasting fabric on purpose since there was no disguising what had happened. 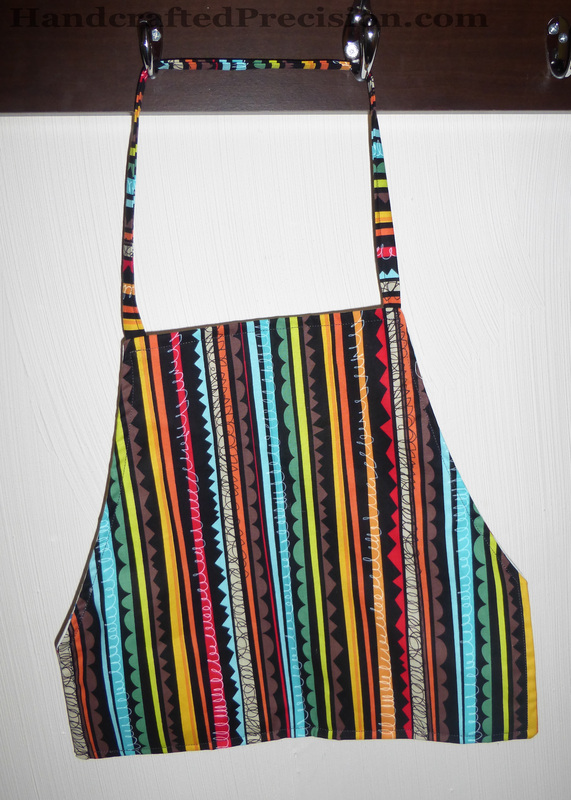 You’ll note the pockets on this apron. The teacher said they weren’t necessary on the ones I made, so the project became that much easier for me. She said what I thought, that the kids just filled them with dirt and random stuff and they caused more harm than good. Anyhow, this part is done. I’m searching for scraps. I wish I had sewing/crafting friends. 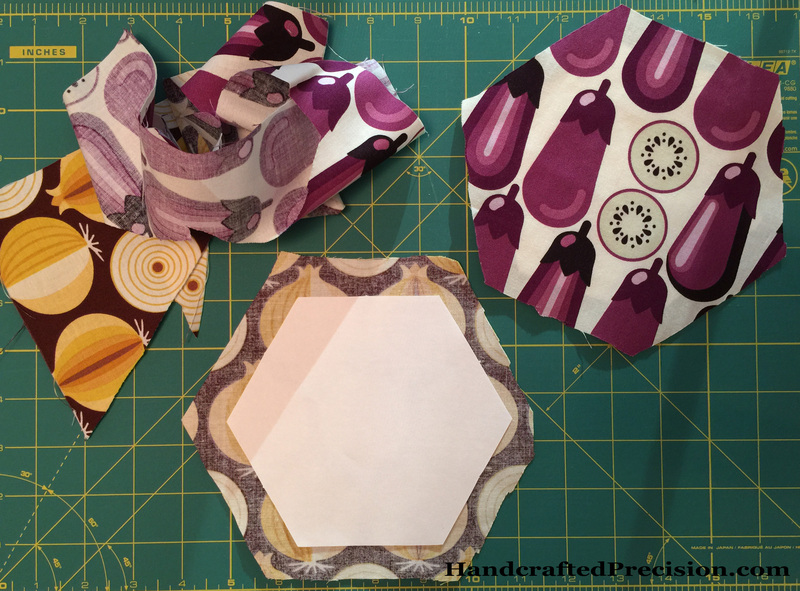 I signed up to take a “Scrap Quilt” class at the local quilt shop, so maybe they’ll have some leads on scraps. I feel kind of silly buying fabric for a scrap class, but I’m going to have to. They said to bring 10″ squares for the first class. I don’t think a 10″ square is a scrap, but to each her own. 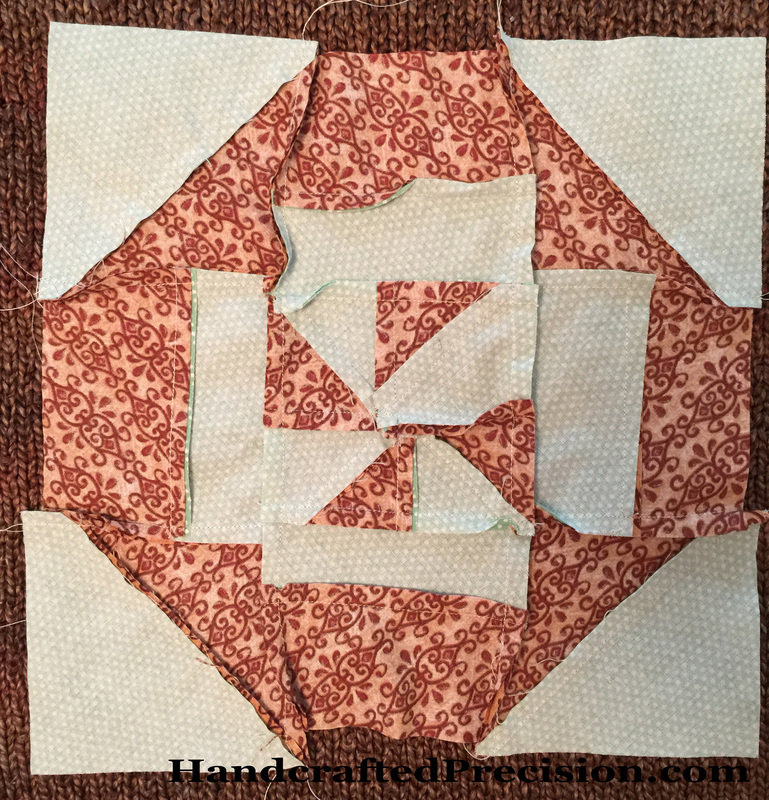 This entry was posted in Machine Sewing, Oops and tagged Apron on August 23, 2014 by HP. My toddler’s teacher asked me to make some aprons for the class. (I’d volunteered my meager sewing skills, but expected she’d ask for easier things like place mats.) They needed to not have any waist ties or neck closures and they didn’t have to be waterproof. I asked if she had one I could trace and she did, so I was off to the races. I did enjoy shopping for fabric. The local quilt store also enjoyed it, because I bought way too much. I love love love the stripey print I put on the front. It’s colorful and awesome for toddlers and shouldn’t show messes. It’s also available on a white background. It’s “Jigsaw Stripe Black/Bright” from the 10,000 BC collection from Benartex. 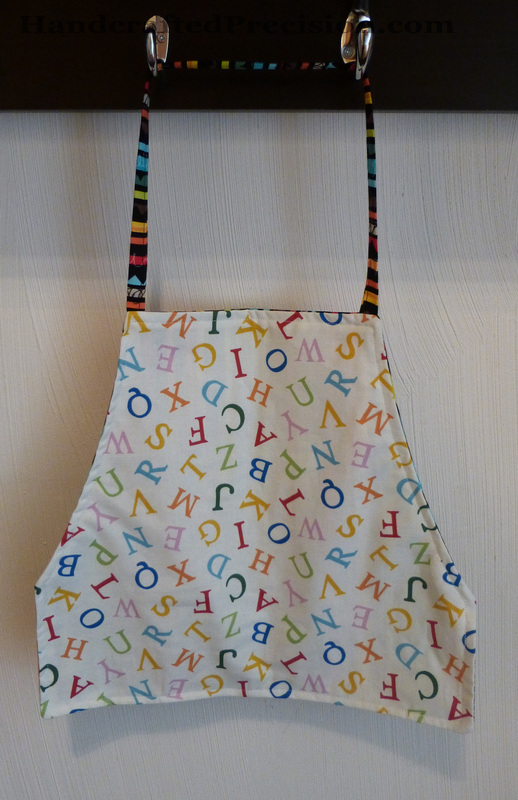 The back is a tossed letters print which I thought was appropriate for a toddler classroom. It also comes on a black background. It’s “White Letters” from the A is for Animal collection by Kathy Brown for Red Rooster Fabrics. Here you can see that I failed in making it symmetrical. I’m pretty sure this was a sewing error, as my pattern and cutting were much even. I need a LOT more practice making consistent seams. It went together pretty quickly, after the ironing was done. I just stitched the neck strap closed after folding and ironing the ends in. Then I put the apron piece with the stabilizer right sides together with the other piece, pinning the neck strap inside. I stitched around, leaving space for turning, then turned, poked edges out (I need to do that a little better), then top stitched to close the turning gap and the make it lay flat all the way around. It hung a little low in front on my toddler, but the neck strap was exactly the same length as the example one, so we’ll see what his teacher says. I’m just glad it’s done! 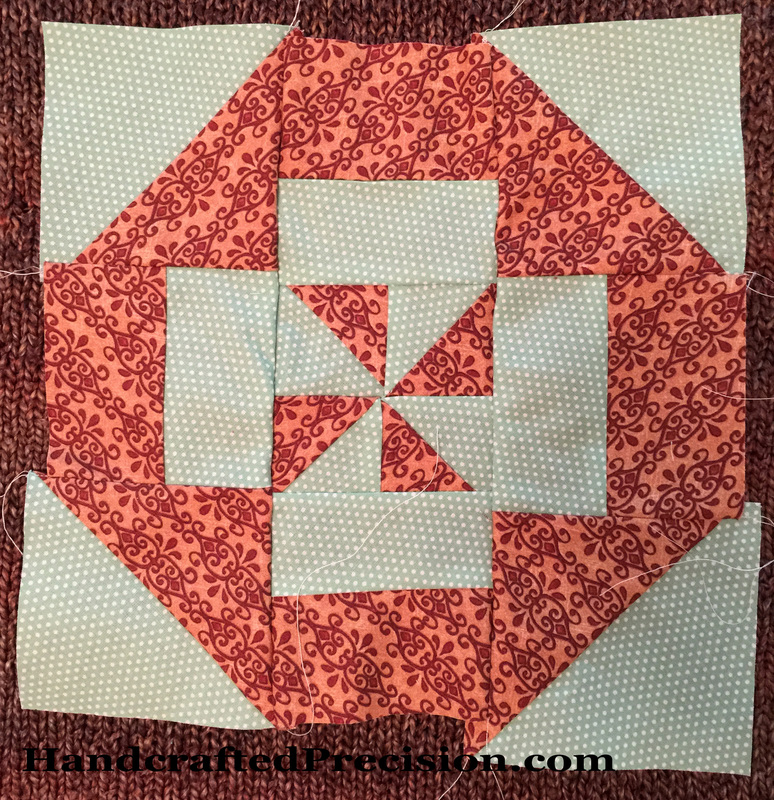 This entry was posted in Machine Sewing and tagged Apron on August 8, 2014 by HP.